One of the best apps for tracking someone’s location is the GPS Phone Tracker Pro. Essentially, this is a full-featured Android app that allows you to uses a person’s own mobile phone to track their location. Important Note: Be sure to understand your local privacy laws that pertain to the use of this type of app. It may be illegal and could get you in a world of trouble. One of a private investigator’s primary tasks is maintaining surveillance on targets on behalf of the client. Few apps, if any, allow you to do this better than the GPS Phone Tracker Pro does. Once you install this app on your phone and your target’s phone, you are good to go. The app will simply send you real-time data on the whereabouts of your targets. 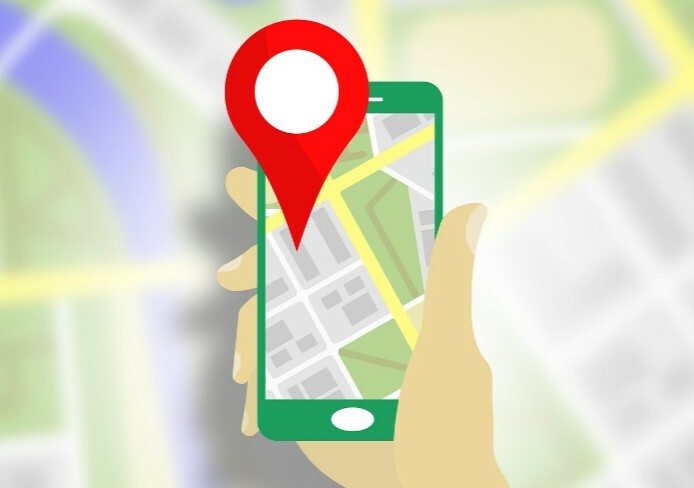 With this GPS tracking app, the people you are tracking will simply appear as a special icon on the app’s navigation map so that you can know with precision where they are located. This should come in handy when you are trying to prove that someone has been to a place where they are not supposed to be, even without having to follow them all day long. For example, when trying to determine whether someone is in violation of a restraining order or other court orders. This app can also give you the information you need to establish if someone is lying about their whereabouts since the app will put this information at your fingertips. The location benefits of the GPS Tracker Pro do not start and end with telling you where someone located by tracking their phones, you can also get precise directions to their location. As a private investigator, the need to follow someone to a particular location is quite commonplace. For instance, your client might need to know whether your target is meeting a particular person, such as when investigating marital infidelity. Although you might not always need to physically follow the target, thanks to this app, if a destination proves to be a place such as a hotel, your physical presence might be necessary so that you can do additional surveillance work such as taking photos in order to build a more convincing case for your client. With this app, getting to your target’s location will be quite painless. The app will give you directions for going from where you are currently located to the place where your target is located. While there are quite a number of apps that can offer this feature, very few of them, if any, will offer you as much convenience or accuracy as this app does. This app is also quite intuitive because you can even set it to give you alerts every time your target gets to a certain location. So, if your target is being suspected of going to a particular location when they are not expected to be there, you can get the alert on your phone. This way, you do not have to stay glued to your phone just to see if your target ends up in the wrong places, you can sit back and wait for the app to give you alerts on when this happens, and then you can report back to your client or even get directions to the location so that you can conduct more surveillance. GPS Phone Tracker app is also a very reliable cellphone tracker for private investigation work, particularly because it is a very accurate phone locator. With this app, you will be able to determine the exact position of a registered mobile devices, smartphones, and also older feature phones. You can do this through the app’s website at any time of the day, all week. You just have to log in to your account and you can find where the phone whose whereabouts you want to know is located. The good thing about this app is that you can even track people who do not have a smartphone. You can have the app send a text to the phone you want to track, and using that phone, you can activate GPS tracking by responding with a “yes” so that an icon for their phone appears on GPS Phone Tracker Pro’s maps. You can use the icon to track the person or their phone and even get directions to their location. So, this is no ordinary app, it will even work with phones that people don’t expect to offer the tracking feature, which certainly improves your cover as a private investigator. This app uses satellites to triangulate the location of all the phones you are tracking. Sometimes the phone you are tracking gets out of satellite view, but with this app, you do not have to lose track of such a phone. The app makes use of cell phone carrier’s towers to triangulate the phone and find its location as accurately as possible. The phone can work with various cell phone carriers including AT&T, Verizon, and Sprint. Despite having lots of features, this app is surprisingly easy to use, even for people without experience in the use of GPS tracking apps. So, as a private investigator, using this tracking app should be child’s play. In addition to the basics of helping you know where the person you are tracking is located, this app goes over and beyond by giving features such as a directions to get to such people. You can also use alerts to tell you when the person you are tracking gets to a certain destination, which should prove pretty useful in this line of work. You will not have to worry that the person you are tracking does not have the latest phone either when using GPS Tracker Pro. This tracking app can work even with phones on which you cannot install the app. The app is able to exploit different tracking technologies to ensure you always have an eye on the people you are tracking. For instance, when outside the satellite range, you can use phone carriers’ phone towers to triangulate the position of a phone and determine with precision where the person you are tracking is located. Download and install the app via Google Play. If you have any questions about GPS Phone Tracker Pro, please leave a comment below. Also, learn about other mobile phone spy software products, including the industry leading program, the mSpy Cell Phone Tracking solution. Does the target phone display the app? Will the target phone owner be able to determine the trac app is installed?